A former politician who now has a new employer shouldn’t misuse, for example, confidential information, contacts, and networks they might have gained while in office, Daniel Freund from Transparency International, told RT. The global anti-corruption watchdog, Transparency International, slammed the EU's lax anti-lobbying laws in a report called Access All Areas, which shows the problem of conflicts of interest remains. The group has been looking at the number of former EU politicians who went to work for lobby firms after they left the world of politics. TI analysis shows that 30 percent of MEPs who have left politics for other employment in the last few years now work for organizations registered on the EU lobby register. 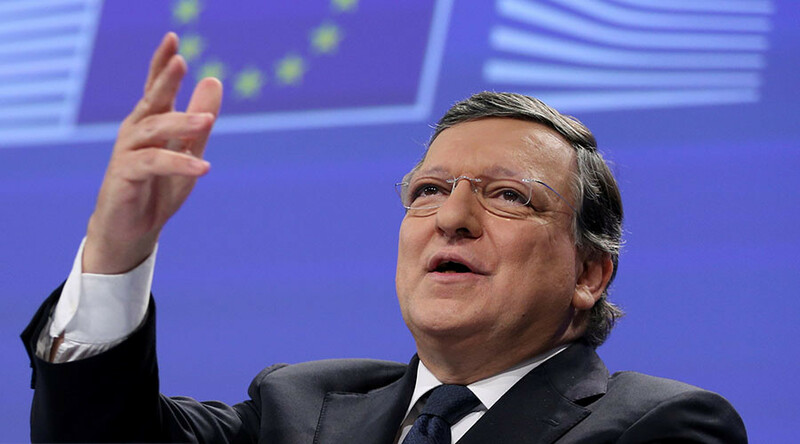 According to the report, former commissioners from the Barroso II Commission have accepted positions in the private sector, including with ArcelorMittal, Uber, Bank of America and Volkswagen. Many of these jobs include contacts with EU institutions or overseeing EU relations. — RT (@RT_com) 30 августа 2016 г.
RT: Why was this report necessary in the first place? Daniel Freund: Well, we have been looking at the integrity issues around the EU institutions for a number of years. 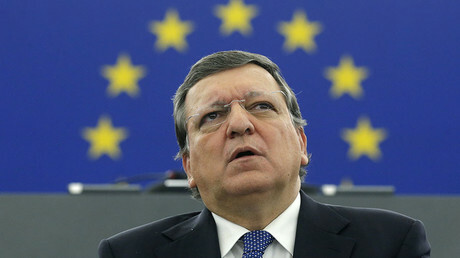 After the elections in 2014, we saw a string of controversies around cases such as the move of [Jose Manuel] Barroso to Goldman Sachs. Also others: the former digital commissioner moving to Uber, from a trade commissioner moving to ArcelorMittal. We wanted to know is this just a few loose cases, or is there a more systemic issue here. That is why we wanted to look at all the MEPs, all the commissioners that have been in office during the last mandate. There are 512 of them in total. We went through their complete career path and analyzed where are these people that left politics in 2014, or the years before. What are they doing now? What is their new job? RT: Can you briefly give me the conclusions in the report? DF: Our conclusion is that a certain share of those that have since left politics – you mentioned that 30 percent of former members of Parliament that have left politics are now with registered lobby organizations – not all of them are actually lobbying. For many of those we don’t have the detailed job description, so we can basically just see who their new employer is. As you mentioned, 26 of them are now employed by Brussels lobby agencies, and what these companies do is lobby the EU institutions. In those cases it is relatively clear that former members of Parliament have been hired to lobby, or are trying to influence their former colleagues. We’re not saying movement between EU institutions and other new employers is something that should be blocked, but we need sensible rules to make sure that when these moves happen – when people leave politics for other jobs – there are no conflicts of interests that emerge from that change. RT: Can this open the door to the risk of corruption? DF: That is of course what can ultimately happen. A conflict of interest first of all just means that two interests are conflicting with one another. The general interest that a politician has represented for a number of years while they were in office, and now they have a new employer, and they shouldn’t misuse, for example, confidential information that they might have gained while in office. They shouldn’t misuse the contacts and networks that they have built up. The worst cases that can appear is if a contact is already made while someone is still in office with the promise of future employment, then this is almost in a certain case, almost be a bribe with time deferral if you like. These cases are incredibly difficult to prove and probably are very rare. Nevertheless, we need to make sure that it doesn’t happen. For that, we’re asking for a cooling off period for politicians. We’re also asking for sensible lobby transparency rules so that contacts between companies, between NGOs and politicians while they are still in office are public. Then once they leave office and move to new employment, we can look into what meetings, what contacts might have taken place, while they were still in office. RT: The report also says any scandals over ethics could play into the hands of Euroskeptics. Could they really be so damaging if you say these cases are rare? DF: Well, we’re clearly saying that this is a recruitment tool for Euroskeptics. That is why we think since it is a relatively easy problem to fix for the EU institutions; there are just a few easy measures that the institutions could take. We think that the EU should be a global leader in ethics and transparency. That is why we have looked into how the problem is regulated elsewhere in the world.